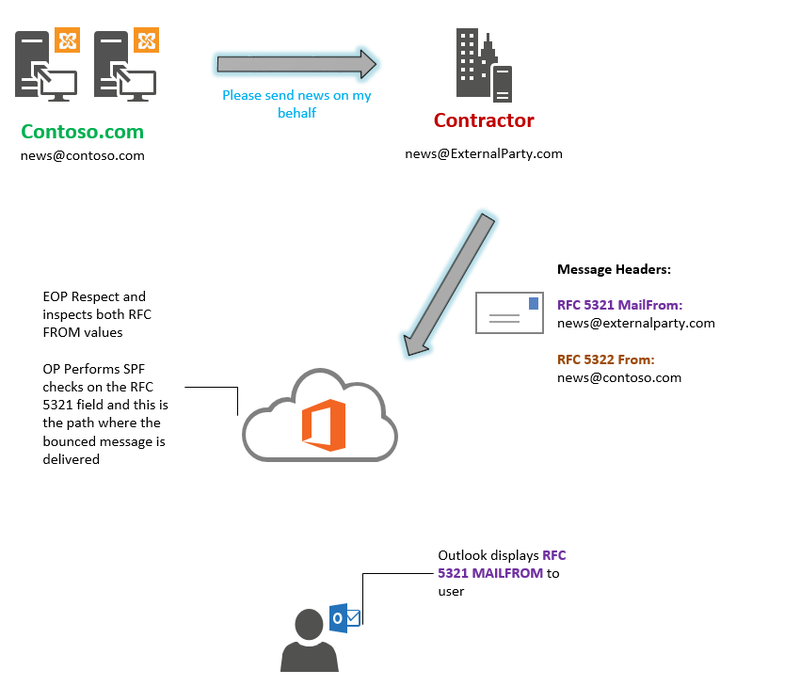 Some one asked me recently about an interesting scenario on which emails are send on behalf of another party, and how Exchange Online Protection (EOP) will act in this case. Outlook displays the RDC 5322 From address to end users, and this is the address that is used in the user’s safe sender list. EOP inspects both values for blocked and allowed senders and domains. 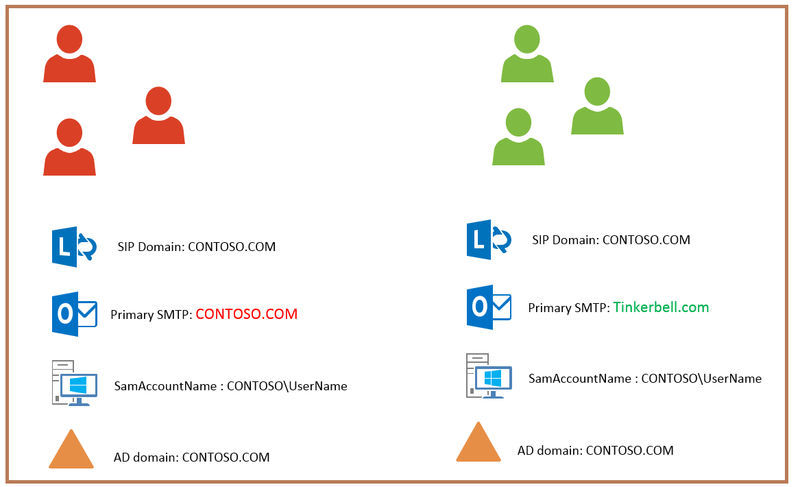 Exchange Online Protection EOP and outlook handle safe sender lists differently. Contoso corporation is trying to send email to their customers and they contracted with third party to send their news emails. The contractor company sends the news email on behalf of contoso. One of the customers who are using EOP receives the news email, and in Outlook, he can see that the sender is news@contoso.com. The user added this address to the safe list senders. Because EOP inspect both RFC from addresses, the next time an email was sent by the contractor, EOP will white-list that email respecting the user’s safe list. Usually the RFC5321 address is the one used by EOP to do SPF checks and send NDR or bounced messages. I want to share with you my personal experience in troubleshooting an interesting problem where Exchange 2013 management interface shows the status of a certificate that I had imported as (Revocation Status Failed). So why this is happening? 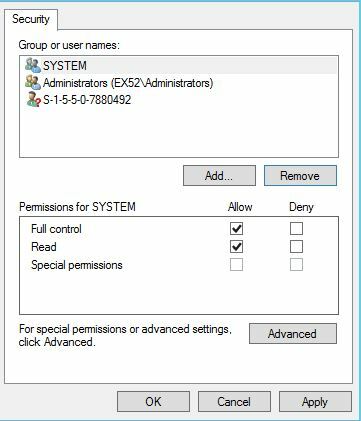 When Exchange 2013 tries to enumerate certificates on the computer store for you in the Exchange Admin Center, it will try to check the revocation status for each certificate to make sure the certificate is Valid. To do that, it will try to download the CRL (Certificate Revocation List) file from the internet by looking at the certificate (CRL Distribution Points) attribute of that certificate. This CRL file download is happening in the background when the server is restarted and using the SYSTEM account. So the SYSTEM account is trying to download something from the internet in the background, and for sure it will use the proxy settings in the IE that is configured for SYSTEM account, which is auto detect proxy settings. 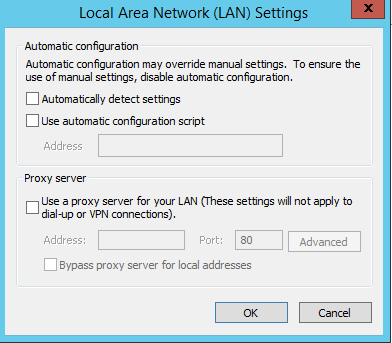 Since the server is not configured to use DHCP, then the auto discover process will go to DNS and search for WPAD.dnssuffex.com , for example (wpad.contoso.com), and since I have such record in my DNS pointing to my proxy, then the SYSTEM account is trying to connect to my proxy, perhaps authenticate and then tries to download the CRL file. This means also that each time the SYSTEM account in the Exchange 2013 needs to connect to internet, it will do that via my proxy which is something I do not like. 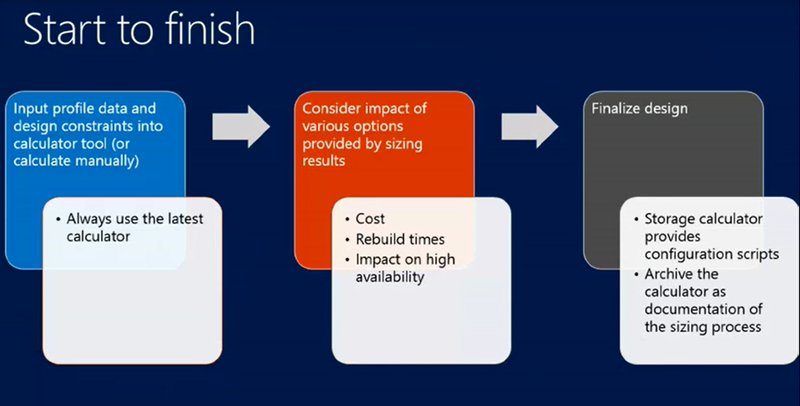 I would rather like to have a direct connection from Exchange 2013 to the internet, especially if we are talking about hybrid configuration and Office 365. I started to think, if i could log on to the computer using SYSTEM account, open the IE and remove the Auto-detect proxy setting, then the problem would be solved and i will have a direct internet connectivity that will eliminate any complexity or authentication requirements on my proxy. 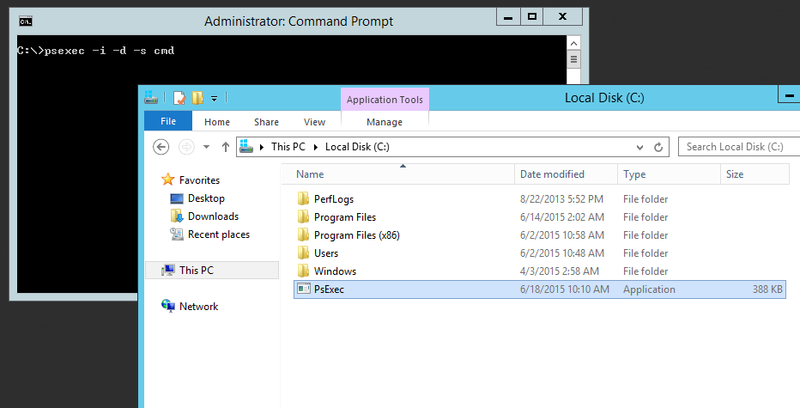 So i went to one of my favorite sites [Windows SysInternals] , and i have downloaded the PsExec tool, and copied it to the C:\ drive of my Exchange server. This tool has the option to initiate an executable remotely or locally using local system account. This will open a new CMD window for me. 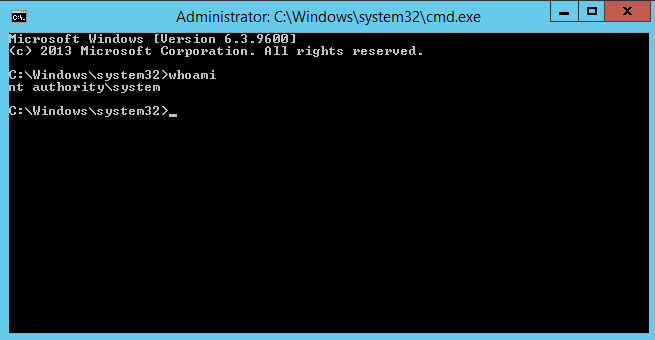 From that window, I can type WhoAmI and I can see that the CMD window is running under the SYSTEM account. Now, I will open IE using SYSTEM context. and from there I will remove the auto-detect proxy settings, so that SYSTEM will not use proxy when connecting to the internet to fetch the CRL of my certificate. Well, say you have a project to import PST files to online archives in your Exchange environment. You start importing PST files to online archives one by one, and you need a way to monitor the progress and see which servers are doing the move and how long will it take to finish the current import operations. At the end, you will receive a nicely formatted HTML table to your email address. The security or legal team needs access to search corporate mailboxes for keywords in order to investigate a security or legal incident. Giving that person the ability to view and access other mailboxes without proper auditing is something most organization fear to do, even if that person is trusted and is a senior person. Microsoft Exchange platform starting from Exchange 2010 I guess, comes with a new feature called Multi Mailbox Search . The problem with giving a person the ability to do searching on corporate mailboxes is still the same. 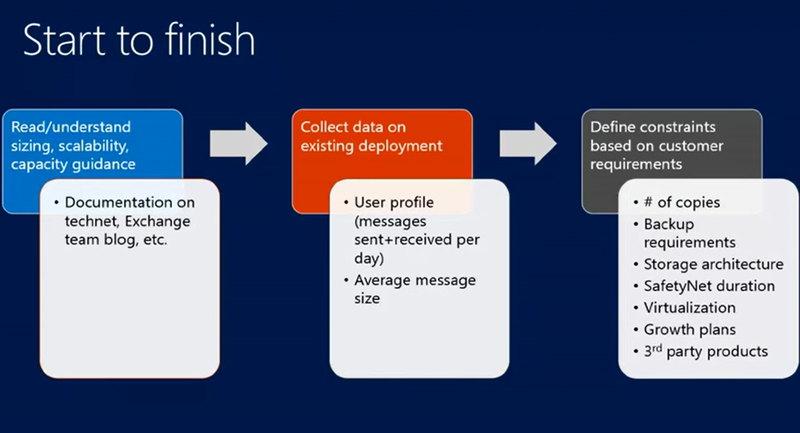 Exchange 2010 introduces the Discovery Management Role and the Discovery Search Mailbox. By default no users are members of this role and the user associated with the Discovery Search Mailbox is disabled and it cannot receive e-mail. From there John can specify a search criteria as shown below. The results of the search will be sent to the built in system mailbox called (Discovery Search Mailbox). John is granted automatically access to that (Discovery Search Mailbox) where he can view the results. This is because the (Discovery Search Mailbox) is configured by default with (contoso\Discovery Management) group having Full Mailbox Access. John is added automatically to that group once he is granted the “Discovery Management” Exchange Role previously. Note: The problem with this approach is that John can perform any search or mailbox discovery on corporate mailboxes without proper control or auditing and this is extremely something to worry about. The solution is simply a segregation of duties, where one person performs the search and other person gets access to view the result. In this scenario, John can only go to his OWA experience and perform the multi-mailbox search with any criteria he wants, and the results will be sent to the (Discovery Search Mailbox). John should not have access to that system mailbox, and thus cannot view the results of his own search. 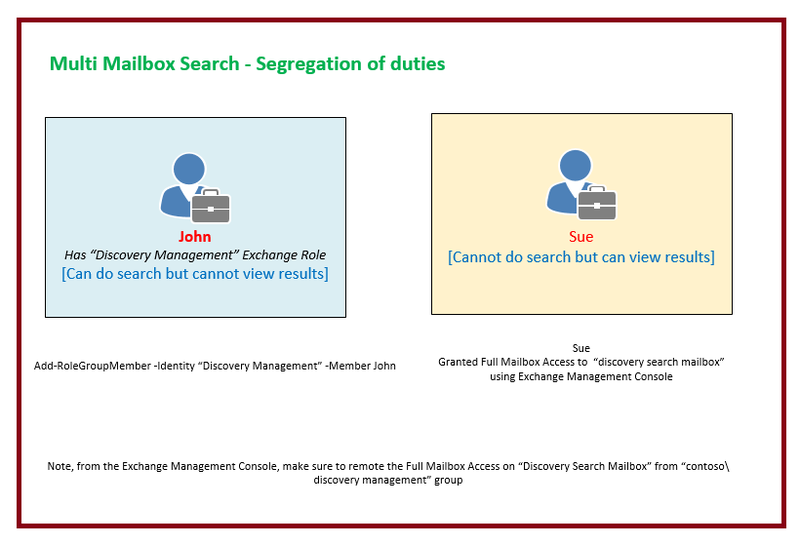 Now, Sue is another security administrator and she is granted full mailbox access to the (Discovery Search Mailbox) and she can see the result of the multi-mailbox search performed by John. This means that one person can do the search and cannot view the results, where the other person can view the results but cannot do the search. In other words, we require two different people to act in order to do such multi-mailbox search on corporate mailboxes. Once done, the results are sent to the “Discovery Search Mailbox”, and John cannot view it although he is member of the (Discovery Management) role, but he cannot access it as we removed the full mailbox access from that mailbox for the AD security group “Discovery Management”. Replace xxxxxxx with the discovery mailbox SMTP. Note: you can get the discovery mailbox SMTP. 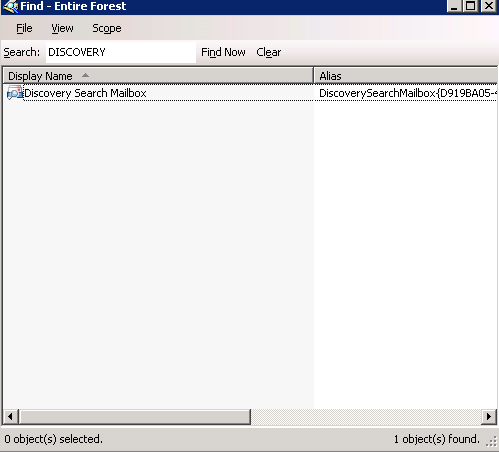 You can figure out this SMTP by searching for the “Discovery Search Mailbox” in the Exchange Management Console and view the SMTP address from there.